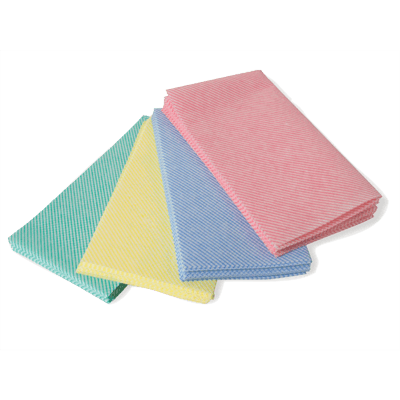 Our LWCCs are soft and highly absorbent cleaning non-woven cloths. We can produce them is a variety of sizes, thickness and patterns. They are available in 5 different colours, preventing cross-contamination and help to achieve the best health and safety practice possible. LWCC can be used in combination with any cleaning agent and is available as folded wipes or a convenient perforated centrefeed roll. Antibacterial versions are also available.